Kiran Palace is popular among a large number of guests mainly due to its advantageous location. 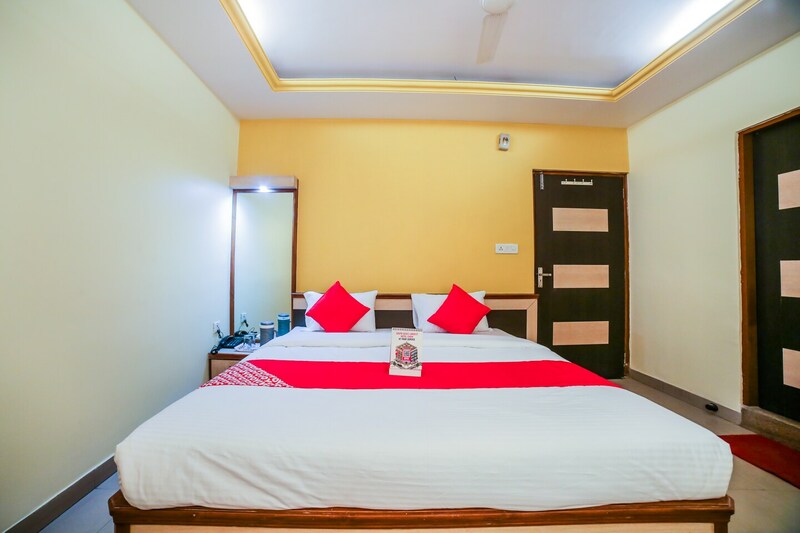 The rooms have been designed very wisely in order to provide a large number of facilities along with a lot of space. The walls have been painted in warm colors such as orange and golden yellow. All rooms are well-furnished and a lot of wood work is involved in the room. The reception area has been well furnished and is handled by experienced staff. The additional facilities provided by the hotel are free wifi, an uninterrupted power backup source, card payment in all forms and CCTV cameras. There are a common kitchen and a banquet hall that can be used by the guests as and when required. The maintenance of the entire property is under a team of dedicated staff.